There seems to be a global consensus that the temperature increase caused by global warming must not exceed 2 degrees Celsius. Decades of scientific evidence suggest a prime contributor to global warming is the burning of fossil fuels, which in turn release carbon dioxide into the atmosphere. What we are seeing today is a teetering seesaw between increased demand for fossil fuels and a potential climate crisis. 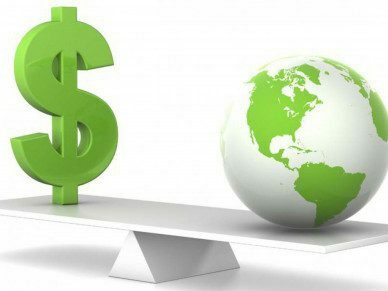 Not surprisingly, the global financial markets lie at the heart of the issue. Financial players such as investment managers, asset owners, traders, corporate finance advisors, and fossil fuel extraction companies are supplying capital for further exploration and development of reserves. The risk transpires if there are more fossil fuels listed on the world’s capital markets than we can afford to burn. The market tends to avoid or ignore issues until faced with abrupt crisis. Emotional reaction overwhelms rational response; people ignore potential long-term crisis for fear of missing out on short-term gain. Valuations of the oil and gas sectors largely assume that listed reserves will be exploited and burnt. The Carbon Tracker Initiative has conducted extensive research in which they conclude that governments and global markets are treating reserves equivalent to nearly five times the carbon budget for the next 40 years, as assets on the balance sheet. And the debate endures: Is the impact of carbon emission significant enough for action? I think you’ve framed the issue well, Jen. Where do you net out? Steering clear of any political views, it seems to me that the potential of a climate crisis is necessary reason to ignite change. Previous UN-PRI…Just One More Check Box?